Boo! Wait, take two, BOO!!! Earlier this year when it was announced that Guillermo del Toro would co-write and produce a reboot; a new film adaptation of the ride with the possibility that he would direct it, schedule permitting. Eddie Murphy was not available for comment. I'll have a Boo Christmas without you. "Re Boo", heh. Loved that, Honor. It's really not Eddie's fault the first Haunted Mansion movie bombed. He's a great comic actor, but all too often, writers and directors expect him to ad-lib his way above lousy material. He can't do it. Not many actors can. Robin Williams could, until his schtick got old. But Eddie NEVER could, and it was unfair to expect it of him. Give him a solid script and he can sell a line as well as anyone; he's brilliant as Shrek's Donkey. 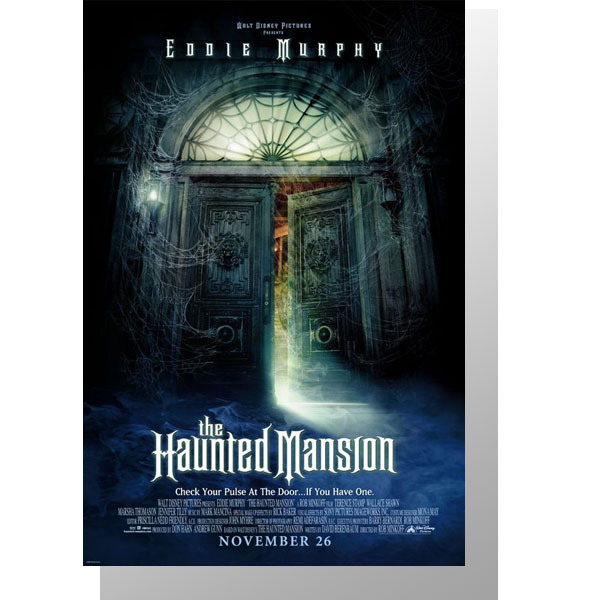 The fault of the Mansion film was in the scripting, concept and a basic misunderstanding of how to mix horror with humor. The producers of that film should have watched the movie "Abbot and Costello Meet Frankenstein", which married humor and horror perfectly (probably because it had two directors - a veteran horror film director, and a comedy director who'd worked with A & C before. The result was gold). I have high hopes for del Toro's version, and the idea of the Hatbox Ghost being a main character. But I hope del Toro won't let the scary overwhelm the Mansion's playful sense of humor. Maybe HE should watch that A & C movie too? I must be the only person on Earth that actually enjoyed the movie, LOL. (Haunted Mansion reboot suddenly leaps out at me) "BOO!" "I must be the only person on Earth that actually enjoyed the movie, LOL." I bet the Twilight series is brilliant to you as well? Yeah, I know that's cruel, but so is admitting that you liked that pile of stinking crap. Eddie Murphy should have paid me to watch that, not the other way around. I suddenly have the urge to eat a bowl of Boo-Berry! Volus Jones, there is no need to be critical of one's cinematic tastes. ..not sure how liking Haunted Mansion implied that one likes Twilight. Umm okay. Volus Jones, you must be a hoot at parties! Hey, I actually like a movie to have a good story.